Weds 11th February saw the first of our AppsAnon events faciliating discussion around apps we use day to day. This event was part of a joint provision initiative from our Staff Development team for Falmouth, Exeter and FXPlus staff aimed at sharing practice and developing our community. Participants put a post-it note with the title of an app they use in a jar, which we drew from at random. The author talked for a couple of minutes about the app; how they found it, why they used it, what they liked and any limitations. 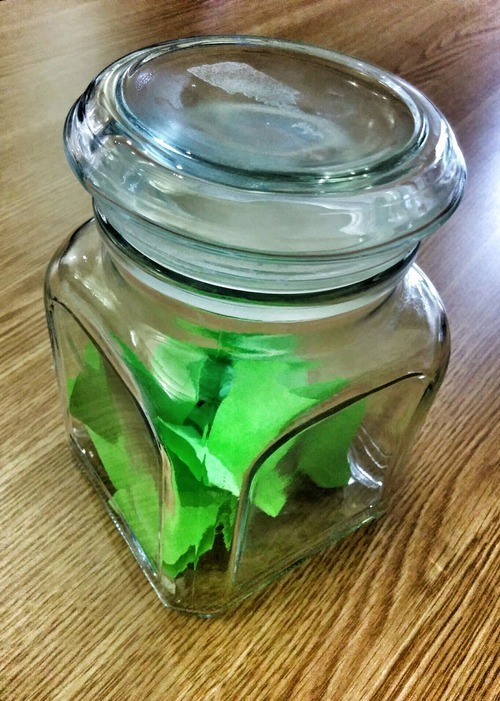 That person then gets to pick the next post-it from the jar. Adobe reader – Quick access to reading resources. Adobe reader allows you to take a photo of a document and convert to pdf. Reader also works with Microsoft formats and lets you bookmark web resources. Useful for organising and accessing docs on Falmouth’s Learning Space.